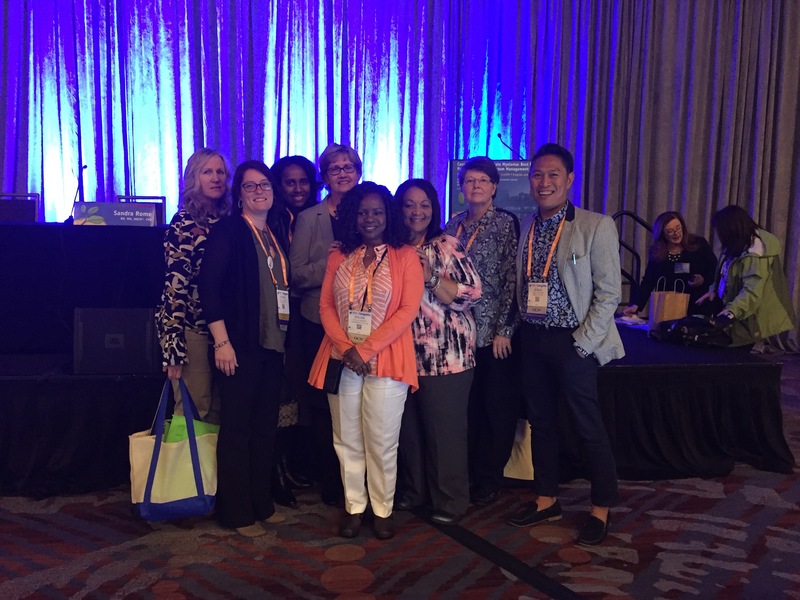 Winship nurse leadership and Emory Healthcare nurses attended the 42nd annual Oncology Nursing Society Congress in Denver, Colorado. 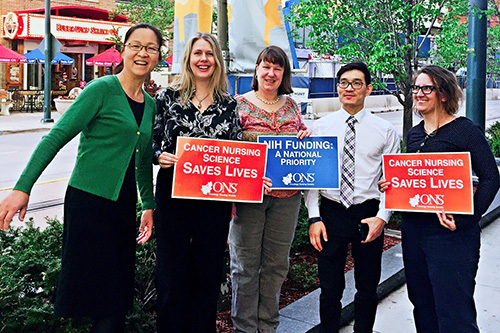 Faculty members from the Emory Nell Hodgson Woodruff School of Nursing support call for robust funding of NIH. 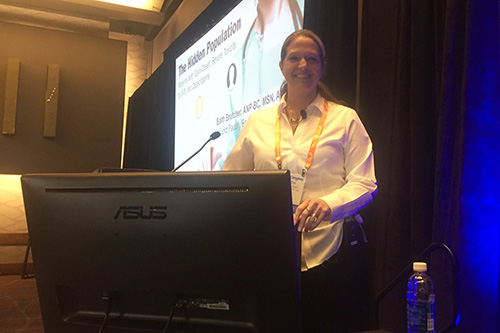 Mary Gullatte delivered oral presentation on nursing leadership, "Maintaining Relevance: Transforming Your Healthcare Future-Lead, Inspire, and Empower." 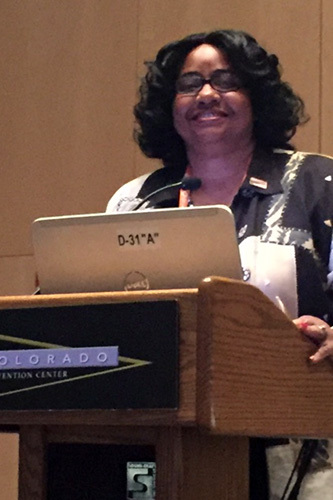 Rebecca Hanik presented "Development of a Community Nurse Navigator Role in an Academic Healthcare System." Connie Masters and Caitlyn Carson are co-authors. 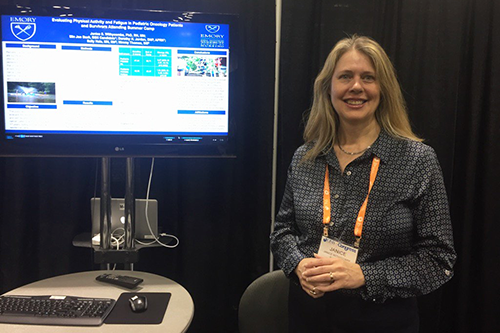 Connie Master presented "Development and Implementation of an Art Therapy Program for Cancer Patients in an Ambulatory Infusion Center." 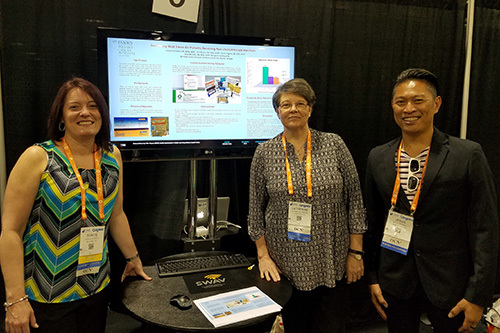 Catherine Parker, Jesus Belonio and Stacie Hughes presented "Decreasing Wait times for patients receiving non-chemotherapy injections." Winship nurse practitioner Edith Brutcher presented "The Relationship between Zinc and QOL in Patients with Upper GI Cancer on Chemotherapy." Dr. Janice Withycombe of Emory School of Nursing sharing work on physical activity in childhood cancer. 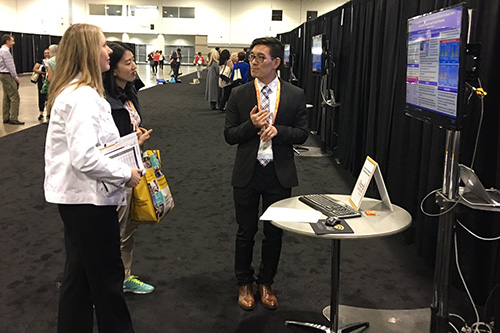 Jinbing Bai of Emory School of Nursing presented "A Comparison of Fathers' and Mothers' Verbal and Nonverbal Behaviors for Children during Cancer Port Start Procedures." 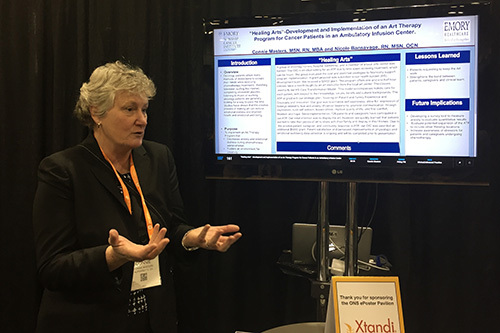 Two dozen Winship nurses and faculty from the Emory Nell Hodgson Woodruff School of Nursing were represented in papers that were presented at the 42nd Annual Oncology Nursing Society Congress in Denver, Colorado over the weekend. Mary Gullatte, PhD, RN and Mi-Kyung Song, PhD, RN delivered oral presentations during the conference. 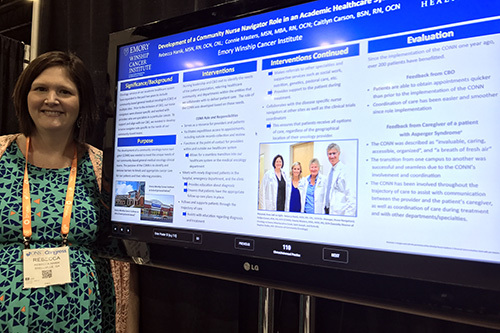 A number of Emory Healthcare nursing leaders were first authors or co-authors on papers presented at poster sessions.